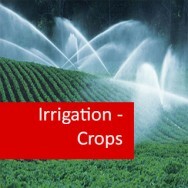 Irrigation Management course online. Home Study Irrigation Management online course. Learn to develop skills in the design and operation of large scale irrigations systems for agriculture. 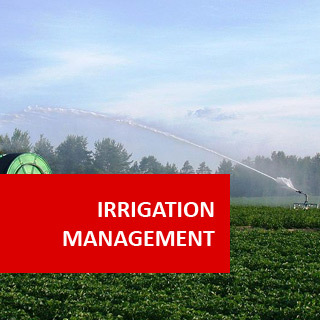 This Irrigation Management distance learning course is an extension of the skills and knowledge achieved in Irrigation (Agricultural) BAG213 or an equivalent course. Students learn to develop their ability to participate in the design and operation of large scale irrigation systems for agricultural applications. Prerequisites:Irrigation (Agriculture) BAG213 or equivalent (BHT210 or BHT304) must be completed prior to commencing this course. There should be plenty of water for everyone... however three controlling factors: very unequal distribution, rapidly rising demand and increasing pollution around urban and industrial areas means that some areas of the planet are already using water at a greater rate than it is being replenished. This includes parts of Western Australia, and parts of NSW and Victoria. Water management will become increasingly important to try and cater for the increasing demand for useable water. The aim of irrigation management is to reuse water as much as possible, to collect and store as much water as possible, and to ensure that what water you do use is used in an efficient manner. This course builds on Irrigation BAG213. It teaches you to manage the design and operation of large scale irrigation systems. 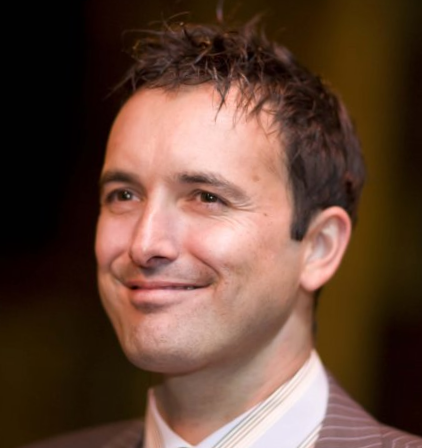 Devise ways to optimise water efficiency (ie. minimise wastage), during irrigation of plants. Schedule irrigation for a large scale situation such as a large nursery, crop, turf, garden or pasture. 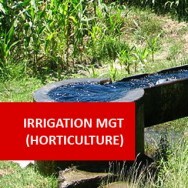 Formulate procedures to operate irrigation controllers, for appropriate tasks. 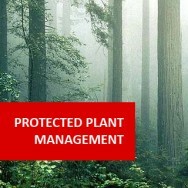 Manage the maintenance of irrigation systems, both small and large scale. 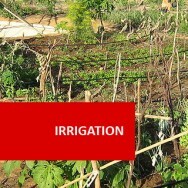 Manage the fertigation of plants through an irrigation system. Evaluate the design of large scale irrigation systems. Design an irrigation system, including its drainage. Determine changes to achieve more efficient water usage, in a specified system. Develop guidelines for determining when to irrigate in a particular situation. Determine through an analysis, when to irrigate on a studied site, by evaluating soil moisture and other characteristics of a site, periodically over two months, and referencing annual rainfall statistics over a period of years. Record in a log book, plant growth and soil moisture for an existing irrigation system operated using two different watering patterns, each for one month, and over two consecutive months. 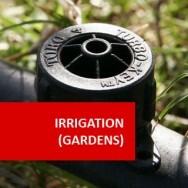 Prepare an irrigation schedule for a specific garden or crop. Develop criteria for designing a specified drainage system. Explain the design criteria for a specified drainage requirement. Evaluate the operation of a drainage system, installed under irrigation on a site studied by the learner. Explain the operation of a specific brand of time clock, studied by the learner. Explain the operation of a specified computerised irrigation controller. Develop three different procedures to operate a specific irrigation controller, in order to satisfy three different specified purposes. Develop a procedure for maintaining water quality, in a specified irrigation system, at a workplace visited by the learner. Explain water quality maintenance activities required for efficient irrigation practices in a specific situation. Compare the service supplied by different irrigation suppliers, in terms of scope and quality. Develop an irrigation monitoring program, for a specific irrigation system, studied by the learner. Write a maintenance schedule for a specified irrigation system. 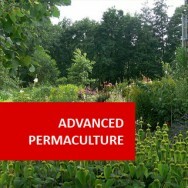 Explain the use of fertigation, in a specific horticultural workplace. Determine appropriate applications for fertigation in one specific industry sector. Determine inappropriate fertigation applications in different specific industry sector. Explain why certain applications for fertigation are inappropriate. Compare the suitability of six different specified fertilisers for fertigation. Prepare design specifications for storage and distribution of water. Explain appropriate methods for recycling, re-use or disposal of water, for three different specified irrigation systems. Are there any legal or health considerations? Determine costing for a specified drainage system. Prepare a report recommending design modifications to an existing irrigation system in a specified situation.